Staff Selection Commission (SSC) has declared the Application Status of SI (Sub Inspector) in Delhi Police, SI (Sub Inspector) in CAPFs (Central Armed Police Forces) and ASI (Assistant Sub Inspector) in CISF (Central Industrial Security Force). There is total 2221 vacancies for prelims exam 2019. SSC CPO Tier-1 exam 2019 is holding for 5 days in 2 slots (10:00 am-12:15 am & 02:45 pm – 04:45 pm). Latest Update : SSC CPO Tier-1 Exam will be conducted from 12th Mar to 16th Mar 2019. SSC CPO Application Status for Western Region (WR) has been released. You can check your own application status or download admit card by clicking on below link. SSC CPO Application Status for Southern Region (SR) has been released. You can check your own application status or download admit card by clicking on below link. SSC CPO Application Status for Northern Region (NR) has been released. You can check your own application status or download admit card/ call letter by clicking on below link. SSC CPO Application Status for Kerala Karnataka (KKR) Region has been released (will update soon). You can check your own application status by clicking on below link. SSC CPO Application Status for Central Region (CR) has been released. You can download admit card by clicking on below link. SSC CPO Application Status for North Eastern Region (NER) has been declared. You can check your own application status/ admit card by clicking on below link. SSC CPO Application Status for Madhya Pradesh Region (MPR) has been released. You can check your own application status or download admit card/ call letter by clicking on below link. 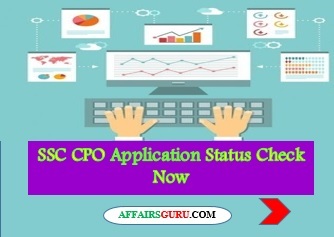 SSC CPO Application Status for Eastern Region (ER) has been released. You can check your own application status or download admit card by clicking on below link. Stay tuned for other application status links to be get updated here. Candidate can get the SSC CPO Syllabus by clicking on below link. It is important that every candidate must aware about the salary and progress after becoming the SI (Sub Inspector) and ASI (Assistant Sub Inspector). You can know about this by clicking on below link. All the best for your upcoming exam! You can join or visit at Facebook Page or Twitter for always keep in touch with further updates. Punjab National Bank Scam- How it was executed? Sachin, SSC CPO Application Status of North Region has not yet released. We will update once get the official notification…. Exam will postpone or not? Is there any news regarding dates in Western region status?